Individual and customized concepts are important in the field of mechanical engineering and in the steel production. We work closely together with our customers in order to meet the various needs and demands. The vast understanding of materials and technology in the field of casting along with high quality products is our strength. The goal is to minimize the throughput time and consequently to minimize your costs. We take on the cooperation with highly specialized suppliers that implies the procurement and installation of other complex components. That way the quality assurance stays in our hands from the beginning till the end. 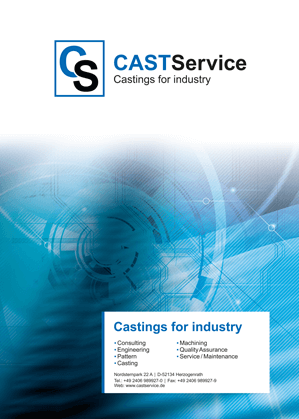 That way a fair cost model can be realized also with individually manufactured casting parts that meet your demands.